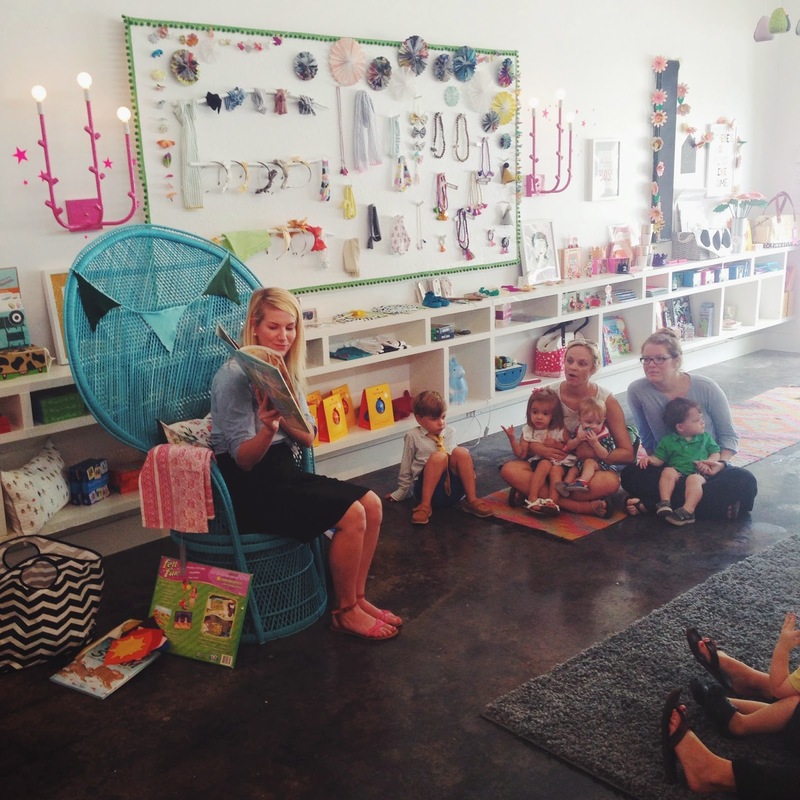 I had such a fun time hosting story time at Progeny Shoppe in Raleigh. 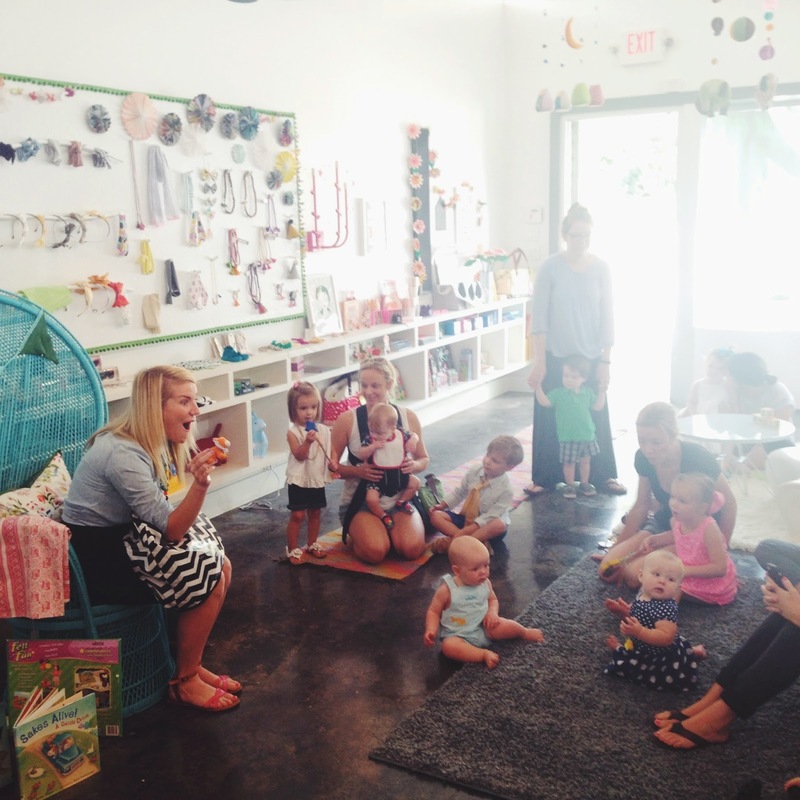 We had a special animal themed story and music session, and the cutest little kids came out to join me. If you haven't been to Progeny yet, you are missing out! It is THE cutest shop of all time. Adorable pieces for kids of all ages (I asked if one of the dresses came in maternity size), and I have my eyes on a pair of airplane leggings for baby boy. If you're interested in doing some back to school shopping this weekend, you can use the code STORY10 for 10% off all items online through Sunday. 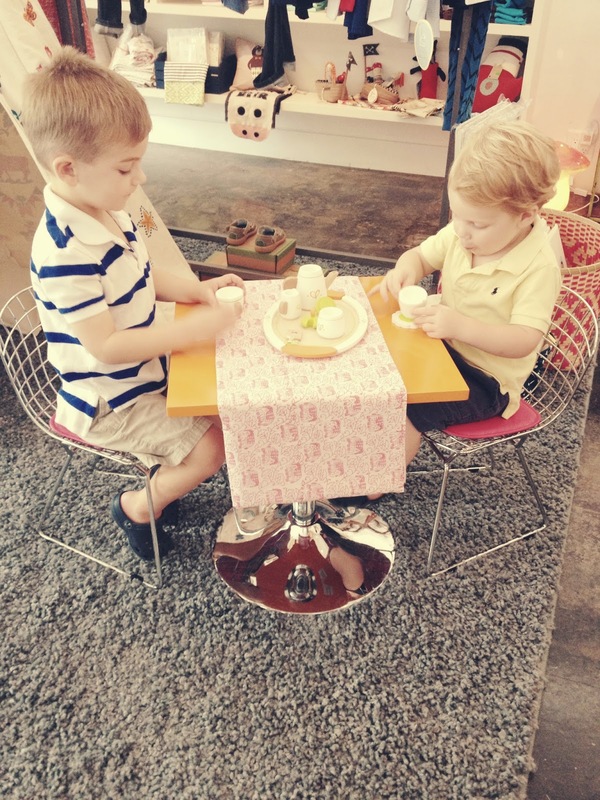 What I found adorable was how much my boys loved playing with a tea set. We don't have one at our house (maybe we should branch out from legos and trucks), so maybe that had something to do with it, but they sat there for forever and enjoyed their "tea time". Maybe Santa will have to bring them one this year. Also, just as a side note...I've been taking Charlie to a reading camp hosted by NCState for the past couple of months. The camp's main goal is to teach parents how to go about teaching their children to read and write. It's wonderful, and I'm learning a lot, but the main thing they talk about is how we need to READ to our children. This, of course, is a no-brainer to me, but taking children to story time and getting them to listen to another adult is also important. So, so important. A big high-five to all the parents and care-givers who read and take their children to story time! this is oh so sweet! and how fun that they liked playing with a tea set! So fun! I wish we lived closer. Even Caroline, who is 8, loves story time! You look like the best story teller ever with those cute expressions! I'm absolutely dying over the boys playing tea time, it's probably the cutest thing ever. 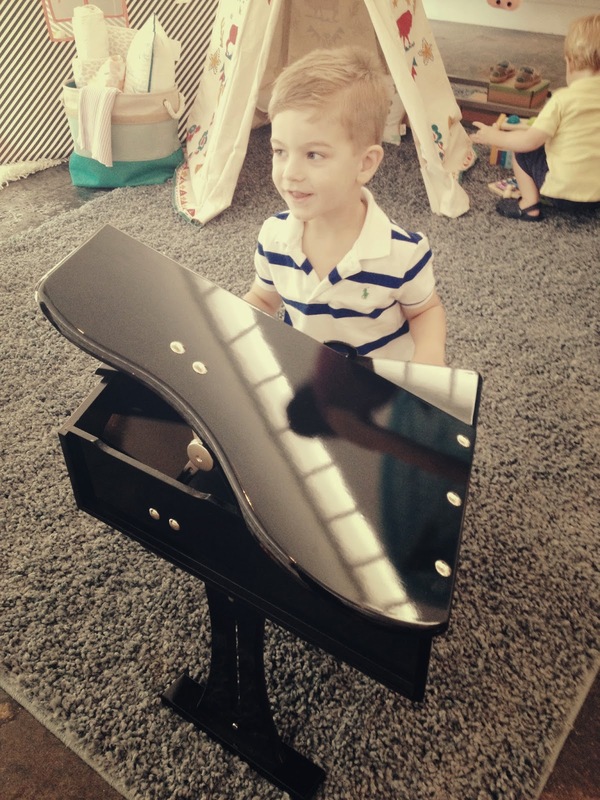 And that mini piano?! I'm obsessed. Baby #3 is gonna be so handsome!!!!! Awe, the kiddos looked like they were having a ball!! 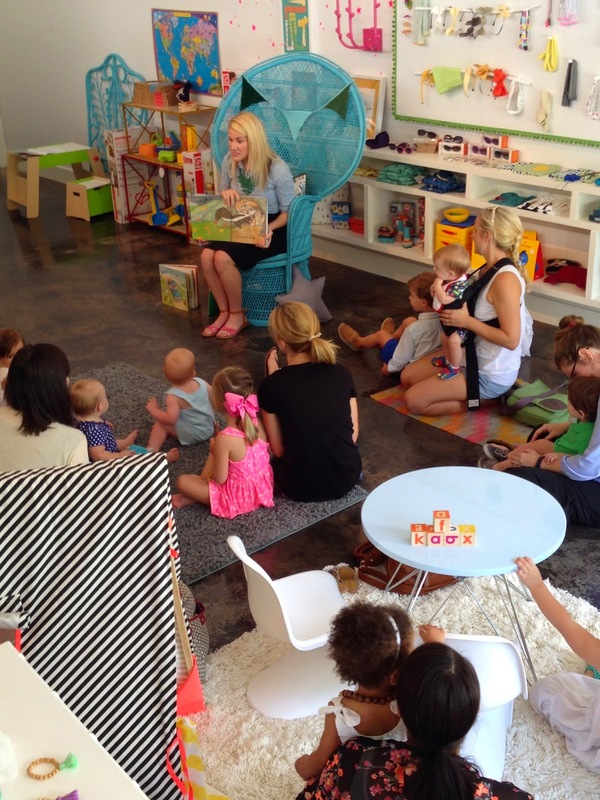 You are such a great mom and your boys are blessed beyond belief...I want to come to story time there! Ha! Such a cute place! Could this shop be any cuter?? So sad we missed your story time! Next time. I tried to get Kade into that camp, but he was too young by a smidgen. I'm hoping to get him in next summer! 3rd baby Anderson is a......!!!! Join me for Story Time!